The retirees of today want action, culture, additional educational opportunities, golfing, hiking and biking paths, very little crime, low taxes and a relatively low cost of living. A few decades ago the best places to live in retirement seemed to be Arizona for the warm, dry weather and Florida because of the warm, humid weather. Those were basically the only requirements that were considered. The retirees of today have significantly more requirements they want fulfilled. They want action, culture, additional educational opportunities, golfing, hiking and biking paths, very little crime, low taxes and a relatively low cost of living. There is no “best place” that is the same for everyone. Each person or couple have their own requirements. Some people love the consistently nice weather and sun three hundred and fifty days a year in Arizona so they can golf to their hearts content. Others love the snow and the seasons of the North Country. This is probably the most active retirement generation in modern times. 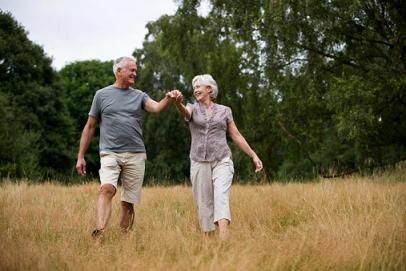 The people today into their nineties are jogging, biking and swimming not because they have to but because they want to. That is why they have lived as long as they have. There are many lists of the top best places to live in retirement and they vary depending on who puts the list out. Asheville, NC seems to be the top choice on several lists. They get all the seasonal changes but not drastically, along with a wide variety of recreational and cultural activities. Sarasota, FL and Prescott, AZ pretty much tie in the next spot. Fort Myers and Venice, FL have moved up the list along with Austin, TX. Military retirees usually want to be close to military installations because of health care benefits and tax breaks. Waco, TX and Oklahoma City are the top choice for that group. The main reasons these towns are in the top listings are because they fit most of the requirements listed above.